Thread, nylon, turquoise blue, size #3. Sold per 2-yard card. Item Number: H20-3736BS Have a question about this item? Glossy and robust fashion color with extra-strong fibers to hold even weighty beads. 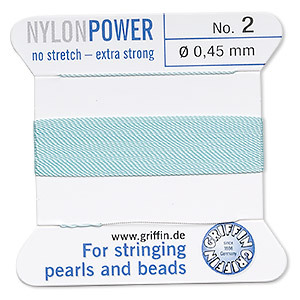 Special stretch-tension material allows thread to expand when pulled, then return to its original size when released, allowing for precision knotting. Use with harder, tougher materials that can abrade other softer cords. Attached stainless steel needle is flexible enough to bend in half and re-straighten. Color may vary from dye lot to dye lot. 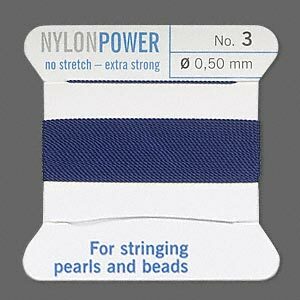 Thread, nylon, dark blue, size #3. Sold per 2-yard card. 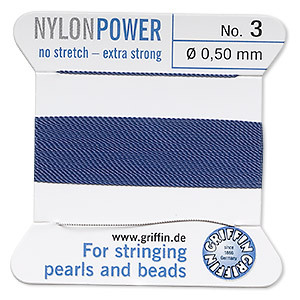 Thread, nylon, blue, size #3. Sold per 2-yard card. 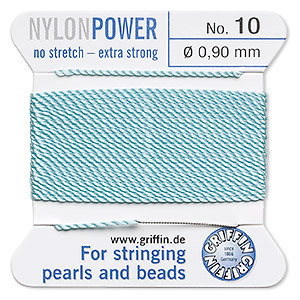 Thread, nylon, turquoise blue, size #10. Sold per 2-yard card. Thread, nylon, turquoise blue, size #6. Sold per 2-yard card. 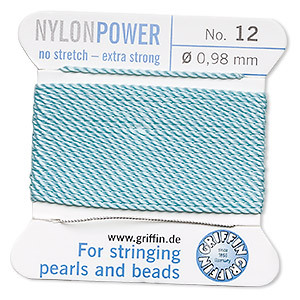 Thread, nylon, turquoise blue, size #12. Sold per 2-yard card. 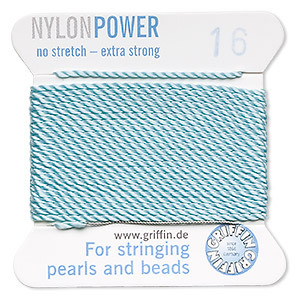 Thread, nylon, turquoise blue, size #16. Sold per 2-yard card. 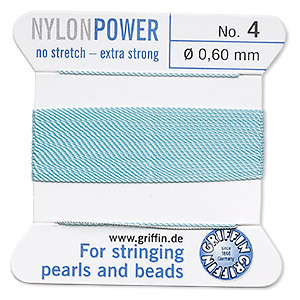 Thread, nylon, turquoise blue, size #4. Sold per 2-yard card. 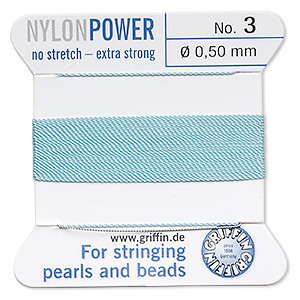 Thread, nylon, turquoise blue, size #2. Sold per 2-yard card. 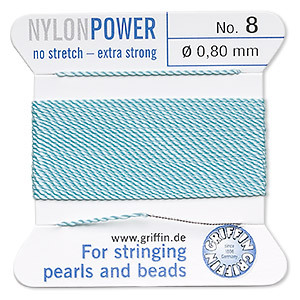 Thread, nylon, turquoise blue, size #8. Sold per 2-yard card. 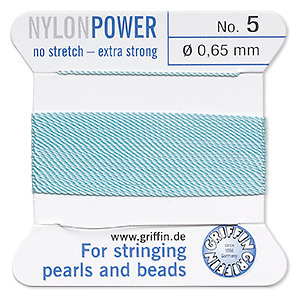 Thread, nylon, turquoise blue, size #5. Sold per 2-yard card.